Now that the latest iteration of NBA 2K has launched around the world, we've included a complete NBA 2K19 review roundup in this guide to the game. 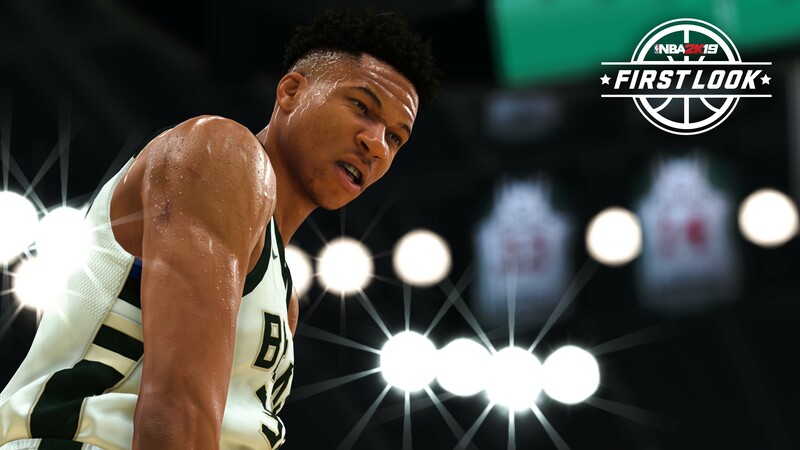 In this NBA 2K19 everything we know guide, we'll be detailing all the information you need to know about this year's basketball sim, including the changes made to the fundamental NBA 2K19 gameplay this year, as well as all the changes made to the popular NBA 2K19 MyTeam mode. Thanks to The Prelude having launched late last month, and now with the 20th Anniversary Edition of NBA 2K19 having launched, we've already spent a fair bit of time with the game. For a complete walkthrough of the new control scheme, as well as a full beginner's guide, head over to our NBA 2K19 tips guide. Just below, you can find a sampling of NBA 2K19 reviews from around the web. We've also included a score (where there is one) from each publication, as well as a short blurb summarising the review. USgamer: 4/5 - "It's too bad that microtransactions overshadow what should otherwise be an amazing love letter to the sport of basketball. At least there's always franchise mode." The Guardian: 4.5 - "What’s on offer is the chance to experience what it’s like to be a sports superstar whose off-court life is also artfully documented in cinematic sequences. The price to pay for that fame and fortune can get high, though, whether you trade away your time or your real-world cash." IGN: 8.5/10 - "The series’ persistent weaknesses are still apparent in areas like the transition game and ludicrous microtransactions, but there’s so much variety to how its extensive MyLeague mode plays out that there’s always a reason to look forward to the next game of basketball." GameSpot: 7/10 - ""If you want to immerse yourself in the sport and culture, NBA 2K19 has you covered with a breadth of content. But even that has its limitations after several years of iterations." Polygon - "There seems to be a stronger foundation in place this time around, and for fans, that may be enough to keep their basketball season from ending early." Earlier this year, NBA 2K19 was leaked online by a retailer listing, before 2K had even revealed the game for the first time. 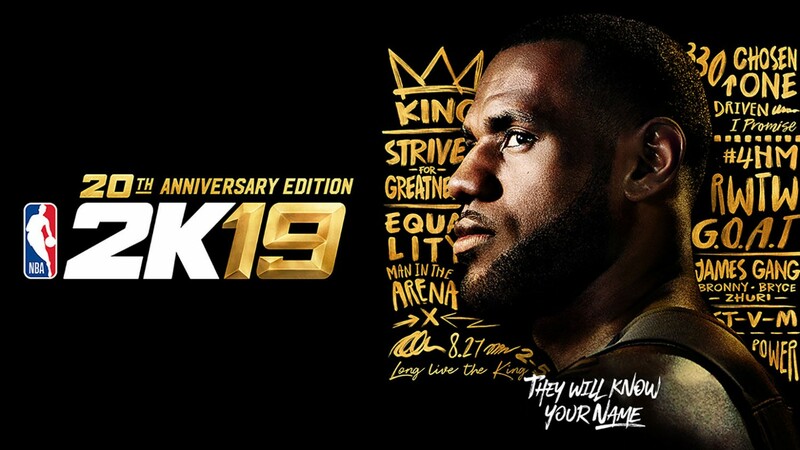 The leak saw LeBron James revealed as the cover star for the 20th Anniversay Edition of the game, while also listing the NBA 2K19 release date as September 11. 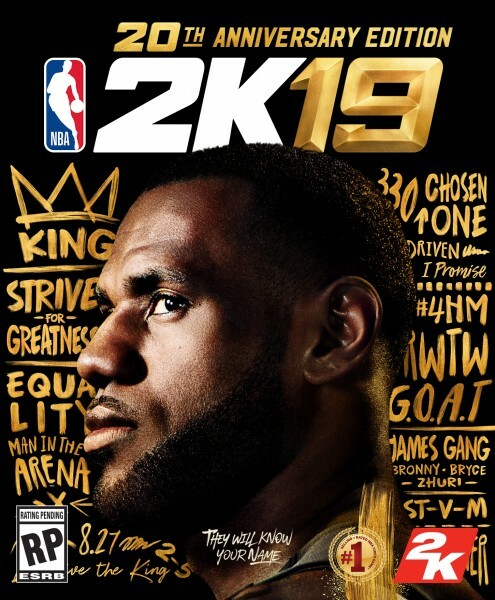 Later on the same day, 2K revealed NBA 2K19 for the first time, and LeBron was revealed to be the cover star of the 20th Anniversary Edition, not the standard edition of the game as was originally assumed in the leak. This special edition will set you back $99.99, but it'll give you access to the game on September 7, four days before the release of the standard edition on September 11, as well as various additional bonuses which we'll detail further down. As was first the case back in NBA 2K17, The Prelude will be launching on August 31. It's available to download right now on Xbox One and PS4, and comes in at roughly 17GB. You can try out the beginning of the MyCareer mode, as well as play a practice game between Golden State and the Cavaliers, in The Prelude demo. In mid August, 2K released some new details about NBA 2K19's MyTeam mode. The first new addition to the mode this year is MyTeam Unlimited, which lets you pick a lineup of 13 players without restrictions. There's a ladder system that determines rewards earned from the MyTeam Unlimited mode, where you'll have to win up to 12 games. The next new mode is Triple Threat, which is a single player, 3v3 mode, where you have to defeat all 30 teams in the NBA in a row. Finally, there are now Daily Trials in NBA 2K19's MyTeam, where you can log in every day to be given new assignments, like winning a certain amount of games. Amethyst and Diamond-grade cards will be available much earlier this year, with the former being available from day one. As we mentioned above, LeBron James is the cover star for the 20th Anniversary Edition of NBA 2K19. LeBron obviously made the high profile move to LA since the cover was originally revealed, so we'll have to wait and see whether 2K makes any alterations to the box art. 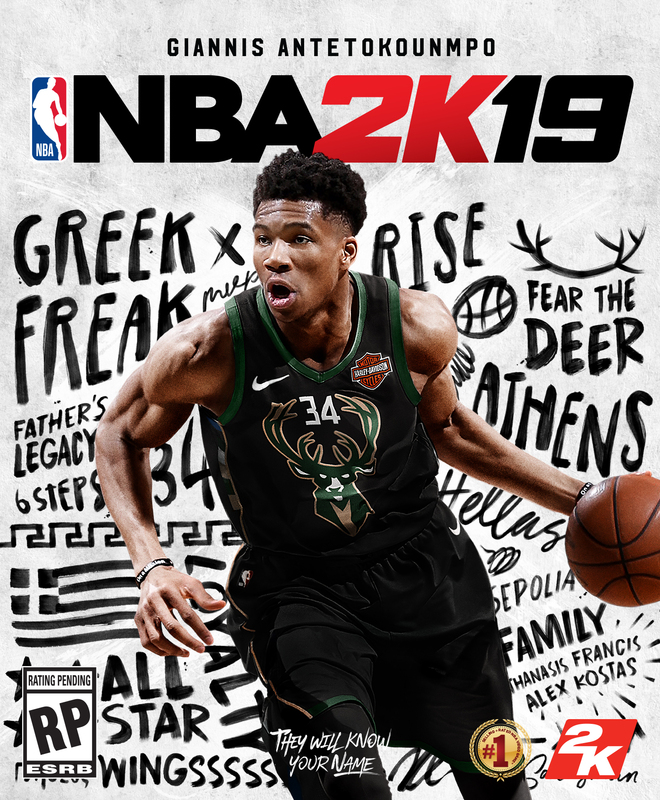 While LeBron was revealed as the cover star for the 20th Anniversary Edition of the game, Giannis Antetokounmpo of the Milwaukee Bucks was leaked as the cover star for the standard edition of NBA 2K19. You can see the full cover the game just below, which was officially revealed by 2K on July 2. There hopefully won't be any jersey changes needed for Giannis, unless he plans on leaving the Milwaukee Bucks at the last second. 20 MyTeam League Packs (delivered once per week). 10 MyTeam Heat Check packs (delivered once per week). Five LeBron-themed murals for MyCourt. We got to play NBA 2K19 at a recent event and came away with some lovely direct feed gameplay footage. You can check out the gameplay below, showing the Lakers vs Warriors on the Xbox One X version of the game. Just below, you can see the debut gameplay footage for NBA 2K19. There were plenty of videos doing the rounds on YouTube before now, but this is the only gameplay video released by 2K to date. Although NBA 2K19 has now released around the world, you can hit up any of the links just below to order your copy of the game on any platform. Right now, this is all the concrete information we have on NBA 2K19. But we we previously mentioned, there's a whole lot that we don't know about NBA 2K19 right now, so make sure to keep an eye on this guide for when 2K reveals additional information. If you're looking for help with NBA 2K19, we've got a full NBA 2K19 guide. If you'd rather hop directly to one of our specific guides, we've got them all for you just below.